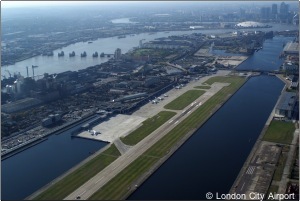 The London Assembly is to investigate the environmental impacts of London City Airport’s expansion in the wake of a 2009 decision by Newham Council to increase the maximum number of permitted flights from 91,000 to 120,000 per year. Assembly Members are asking Londoners how the extra flights are affecting their lives and will look at how London City Airport is monitoring and mitigating the impact of the flights on air quality, noise and climate change. A meeting will be held at City Hall on 10th June 2010 when the Committee hopes to hear people’s views on the expansion of the airport and the environmental controls currently in place. It has also launched an online survey to gauge public opinion about how flights to and from the airport may already be impacting on local people. The survey can be found at www.london.gov.uk/city-airport and will close on 18th June 2010.